I was going to use hair shader for the her "hairstyle." However, it requires very much the time which a rendering takes. Considering the future work, it is not realistic well.Therefore, I gave up use of hair shader and changed into the method of sticking a texture on a polygon. Although it is very classic, it is good in working efficiency. 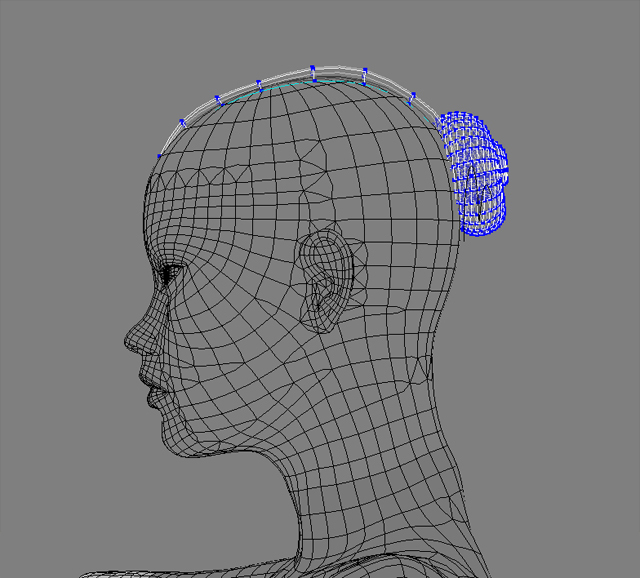 In accordance with a hairstyle, some polygons are prepared first. 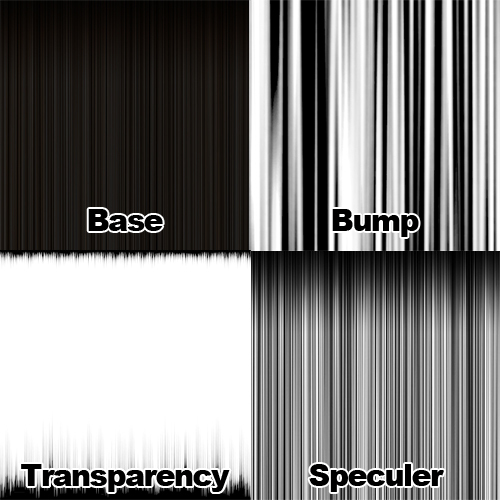 Four kinds of textures are used roughly. They influence a setup of "base color", a "bump", "transparency", and "speculer." Textures are stuck on polygons and tuned finely. 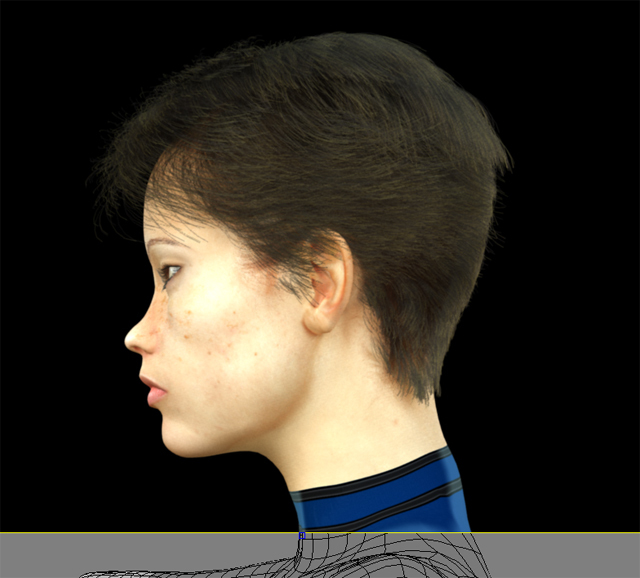 It is not so realistic compared with hair shader. However, computation time is shortened considerably. The upper picture is processing of the "top" and "bun." 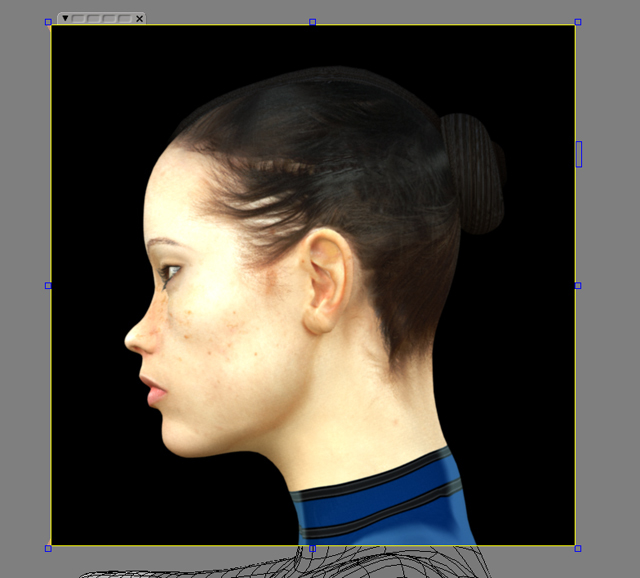 I have to process both sides and the nape further.